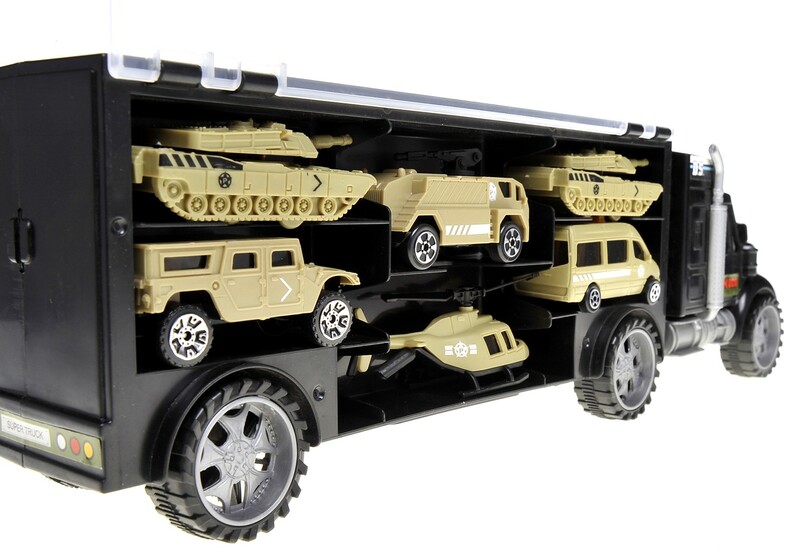 Master Box Dimension : 22" X 17" X 25"
Fighter Military Transport Truck Design to hold and store Combat Vehicles such as Helicopters, Tanks, Jeeps, and Transport cars. 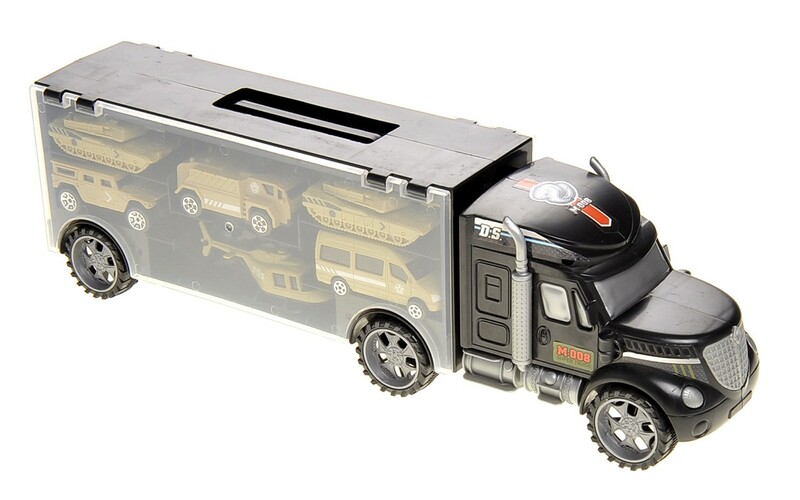 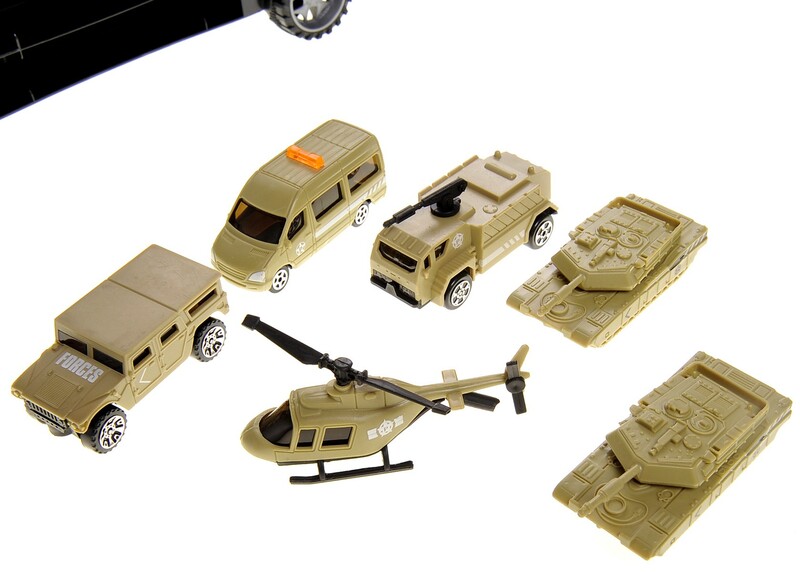 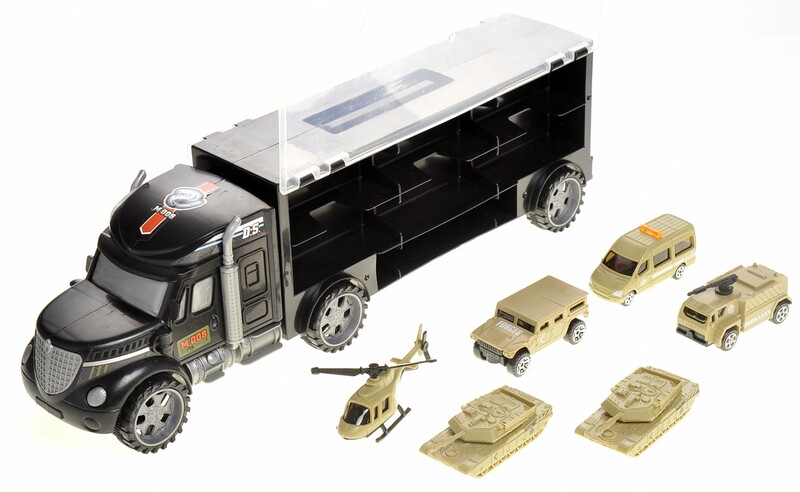 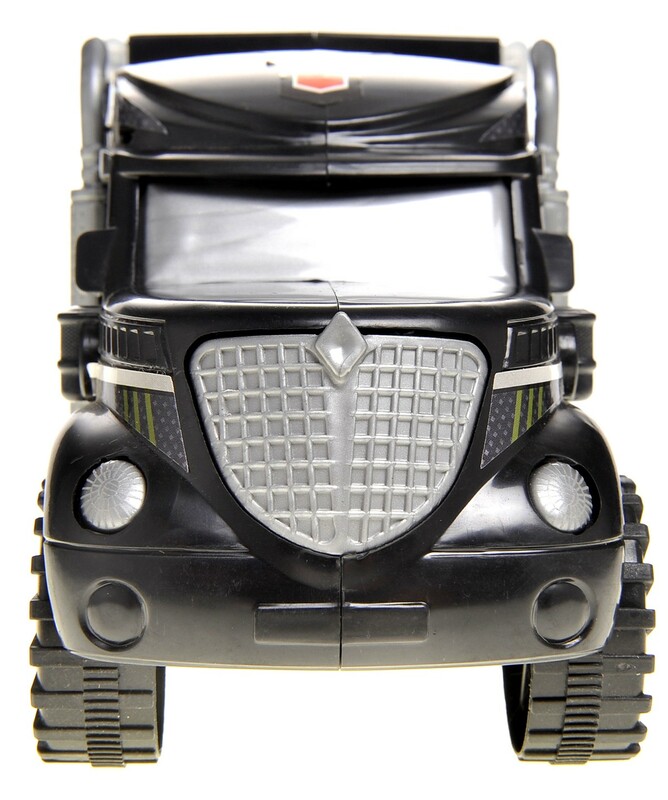 This Vehicle is designed for kids that love military toys! 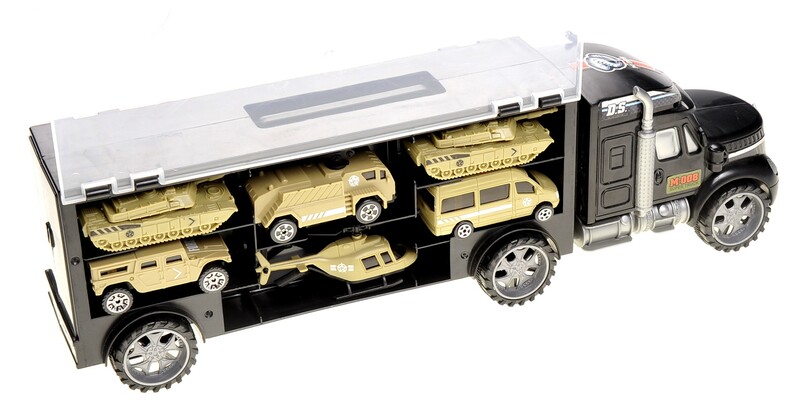 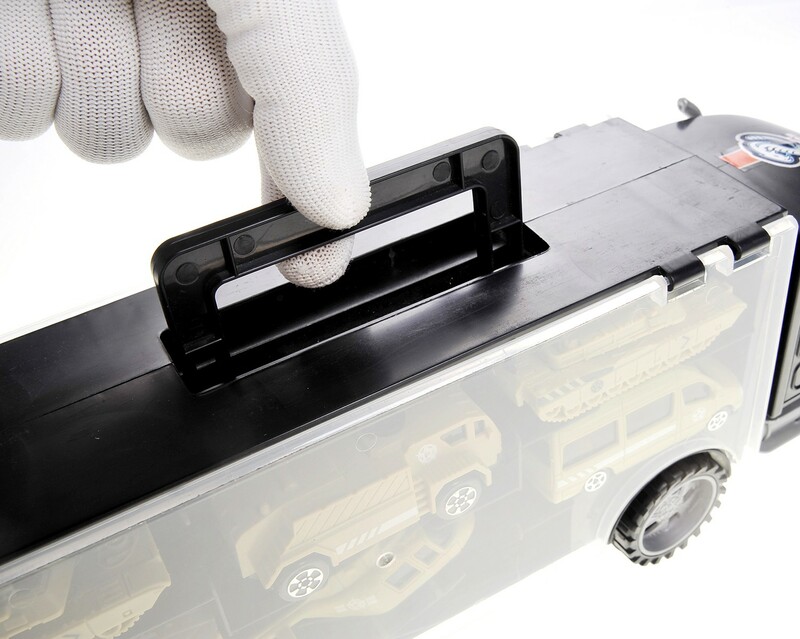 The Truck is able to store combat vehicles.